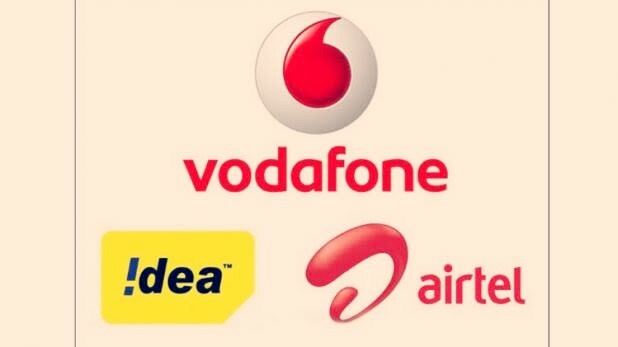 Airtel, Vodafone-Idea launched the Minimum Monthly Recharge Plan, will impact on 25 million people - mobilereview.online - The Ultimate resource for mobile phones reviews, specification, information. There is a big change in the Indian telecom industry, though these changes are only for Vodafone-Idea and Airtel customers. In fact, these three companies have introduced a minimum monthly plan for their customers and every customer needs to recharge their numbers to keep their numbers running. To keep your number running, Airtel and Vodafone-Idea customers need to recharge at least Rs 35 per month. Why Is This Happening? Actually, most users nowadays use dual SIMs. In the first SIM, customers recharge, but in the second SIM, the customer only recharges 10 rupees to keep the incoming calls and numbers running. Because of this, the telecom companies have reduced the user's average revenue (ARPU). However, these three companies have done this for their customers using their 2G network. Apart from this, this is also being done so that 2G customers can be reduced and the number of 4G customers can be increased. Nowadays, due to cheaper data and free outgoing calls, customers do not recharge on their numbers, so that companies are unable to generate revenues. For this reason, companies have come with a minimum monthly plan. Need To Recharge At Least Rs 35: According to media reports, 15 million subscribers of Airtel and Vodafone-Idea recharged less than 35 rupees per month. Therefore, these companies have started their minimum monthly plans at Rs 35 only, which is essential for every Airtel and Vodafone-Idea customers. Under 100 Rupees, all Plan Airtel, Vodafone-Idea has kept the minimum monthly plan within 100 rupees, which is almost the same. The cheapest plan is Rs 35, with talk time of Rs 26 and 100 MB data. Calling charges will be charged at 1 paisa per second in this plan. After this, there is a plan of 65 rupees, which will have talktime of Rs 55 and 200 MB data. In this also, calling charges will be charged at the rate of 1 paisa per second. The most expensive plan is Rs 95, with full talk time of Rs 95 and 500 MB data. Calling charges will be charged at 30 paisa per minute in this plan. The validity of these three plans will be 28 days. Number Will Stop If The Recharge Is Not Done:Companies have launched all these plans with validity of 28 days. It means that even after recharging at least Rs 35, there will be validity of 28 days and outgoing calls will be available for same day. If the validity is not recharged after the expiry, 15 days after the incoming calls and the number will be closed after 90 days. Minimum Monthly Recharge Model Was Introduced 14 Years Ago: Telecom companies introduced the Minimum Monthly Recharge Model in 2004, 14 years ago. Under this, recharge of 999 rupees was available for 'Lifetime Free incoming call'. In this plan, the customers would get incoming, but the recharge was required for SMS and outgoing calls. Under this plan, it was necessary to recharge at least 10 rupees in 6 months for the customers to keep their number activated.